This week, Angie was taken by surprise by the weather, and needed a chunky cowl knitting pattern. Read on for this quick knit! I’m going to blame my ill-prepared state of mind on the fact that I have lived in places with wildly different climates. I grew up in Chicago, where it snows from November through May. We had two seasons: winter, and road construction. The driving was better in the winter, because the potholes filled with snow! I lived in Texas for 4 years, where seasons don’t exist, except when you get one freak snow storm every 5 years and every native Southerner calls in sick to work to play in the snow. One year, I went out on New Year’s Eve in a tank top! I’ve lived in Vancouver, Dublin, and London – rainy, cozy places that I love. Still, I was caught off-guard this year when the chill set in on my morning walk to the train station! I make it a point to have at least one new cold-weather accessory each year, and I realized I had to get moving, and fast. I used 3 balls of Lana Grossa Feltro Pailettes in Fuchsia (705). This wool blend yarn was designed to felt, but I love it for the vibrant colors and subtle sequins that run through it. I agonized over which shade I would choose, but finally settled on Fuchsia for it’s gorgeous jewel tone hue that’s really “in” this year. You’ll also need 12 mm (US 17) needles (I used KnitPro interchangeable tips), a cable needle, and a yarn needle to seam up your cowl when it’s finished. This project is knit flat, but I used circular needles to give me some more elbow room while traveling and snuggling on the couch. This cowl can be worn 3 different ways: around the neck, around the shoulders, or doubled up as a thick, warm neck scarf. Repeat rows 1 – 4 until you’ve used all three skeins of your yarn. Seam together, and voila! *cf8 = cable front 8: slip 4 stitches onto a cable needle and hold in front. Knit 4, return the cable needle stitches to the left needle, knit 4. There you have it – a super simple, super quick chunky cowl knitting pattern for a sparkly, jewel tone cowl that will inspire jealousy in everyone who sees it. Happy knitting! 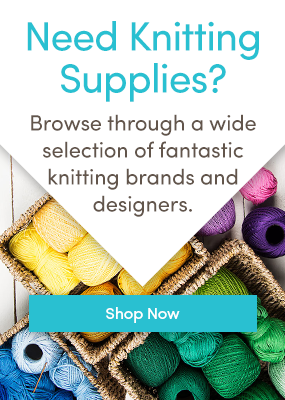 Love free patterns and inspiration? Follow us on Bloglovin’, and never miss a post. Last updated: January 12th, 2016.